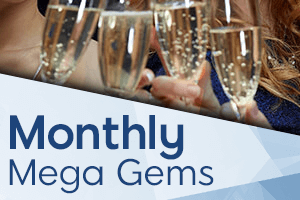 Our Joy Gem VIP Club provides exclusive offers and exceptional benefits to our loyal members from a selection of sister bingo sites. Our VIP members receive top notch service, including personal attention from a dedicated account manager plus access to an array of special promotions and luxurious treats! Our Joy Gem VIP program provides members with an abundance of rare and sparkling benefits. There are four dazzling loyalty levels containing all kinds of perks and special offers. Win a share of the mega sliding jackpot – and win up to £5,000 every month. 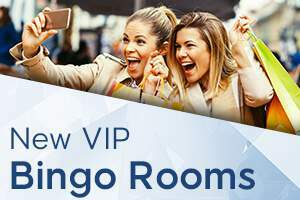 We’ve updated 2 of our exclusive VIP bingo rooms, to give you more winning chances than ever before. Gain VIP access to exclusive real life events! Joy Gem VIPs get to mingle with the stars, enjoy special shows and luxury getaways. We also organize VIP mixers, where you can socialize with fellow players and meet the Joy Gem team! Exclusive cocktail party and a spectacular performance by Peter Andre!